Utagawa Hirokage (active 1855 - 1865) Humorous Events at Famous Places in Edo: Bridge Scene, 1859. Oban. 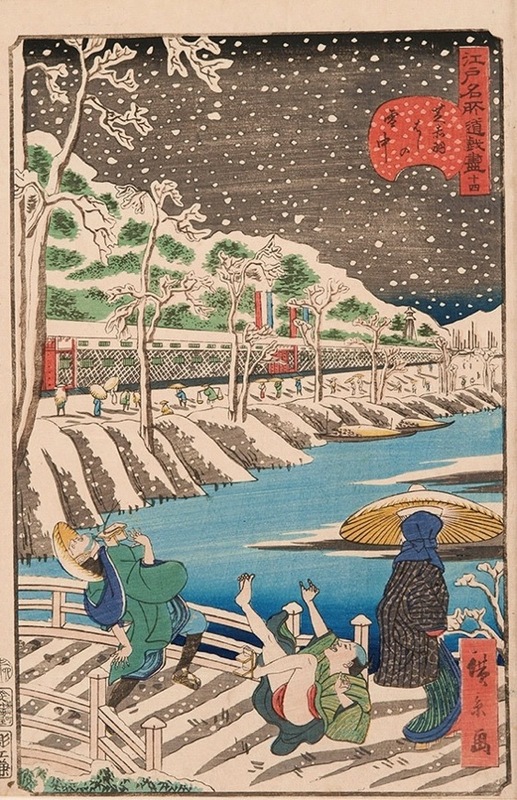 This is a fine winter scene and depicts a traveller slipping on a footbridge. As he trips his shoe flies off and hits a fellow pedestrian in the head. Another nicely observed and delicately realised comic scene from this famous series.